In the nondescript world of public policy, oopsies don’t get any bigger than this. In a remarkable story in Tuesday’s Wall Street Journal, several early champions of 401(k)s, the now-ubiquitous tax-deferred plans that help workers sock away retirement funds, expressed regrets for what their efforts later yielded: Private pensions have withered. Individual workers now shoulder risks that large corporations once bore. Investment fees chip away at account owners’ returns. The typical American worker is badly underprepared for old age. “I helped open the door for Wall Street to make even more money than they were already making,” said benefits consultant Ted Benna — sometimes known, according the Journal’s Timothy W. Martin, as the “father of the 401(k).” “We weren’t social visionaries,” said former Johnson & Johnson human-resources executive Herbert Whitehouse, who helped popularize the plans. 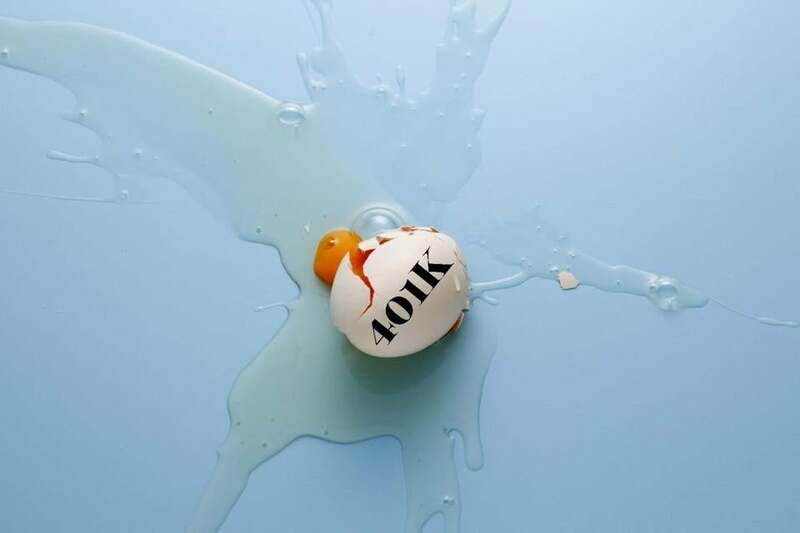 “The great lie is that the 401(k) was capable of replacing the old system of pensions,” said Gerald Facciani, the former head of the American Society of Pension Actuaries. Older Americans’ fear of leaving the workforce with nothing saved surely added to the economic unease that Donald Trump channeled in his campaign. When the Globe’s Matt Viser visited Butler, Pa., last year to report on the fading of the American dream, baby boomers’ dimming hopes of a comfortable retirement came up time and time again. If the president-elect were to focus on the actual anxieties of Trump voters, addressing the retirement mess would be at the top of his to-do list. Instead, a Republican Congress and the incoming Republican president are preparing to repeal Obamacare and replace it with individual health savings accounts, or something else, or perhaps nothing at all. At the least, the new regime in Washington should heed a lesson from the 401(k) debacle: When you fiddle with the safety net, you should consider how people and corporations behave in real life. Named for a section of the revenue code, the 401(k) started out as a way for wealthy executives to defer taxation, but employee-benefits administrators seized upon it in the 1980s as a tool for regular workers, too. What these experts failed to foresee was that employers would cut costs by shutting down traditional defined-benefit pension plans and matching employees’ 401(k) contributions instead. But a voluntary savings program can go only so far. Some workers don’t join. Others join, but still make bad investments. In retirement planning, as in electrical wiring, not everyone is cut out to be a do-it-yourselfer. As a result, a policy shift that was supposed to leave older Americans more secure and less dependent on Social Security has achieved the exact opposite. It’s no wonder Trump, during his populist campaign, promised to lay off of Social Security . Too bad Trump is hung up on Obamacare. In theory, Americans’ inability to save for retirement is the type of problem that should interest a heterodox GOP president who’s open to government activism and won office on a wave of middle-class grievance. By now, it shouldn’t take a social visionary to recognize that 401(k)s aren’t enough. Indeed, millions of families already see that all too clearly.